A mother/wife/lone parent holds the hands of (her?) 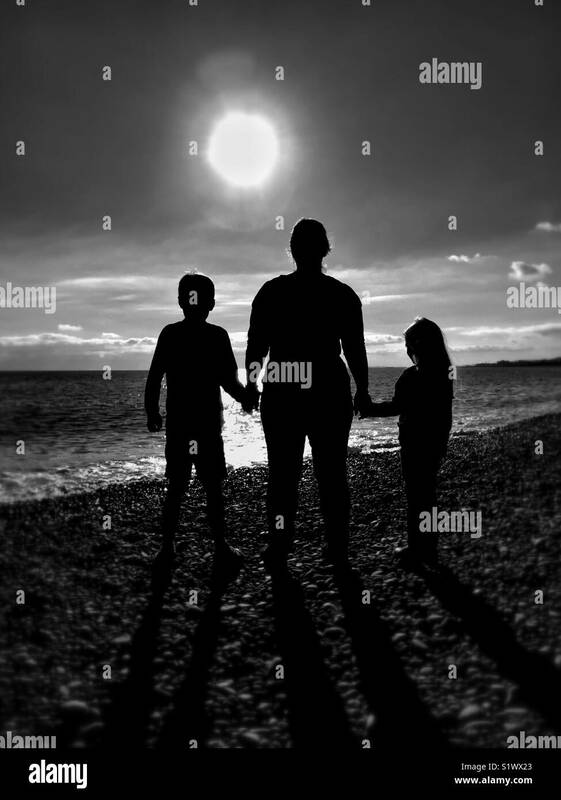 2 children as they stand on a beach & gaze into the bright light/sunshine(?) & look towards a horizon. An evocative image with multiple uses. © CH.